"Helping to Co-Create Green New Jobs, a Green Economy and a Clean Green World"
Green Jobs Training & Green Jobs Creation Partnerships to Help Put America Back to Work. 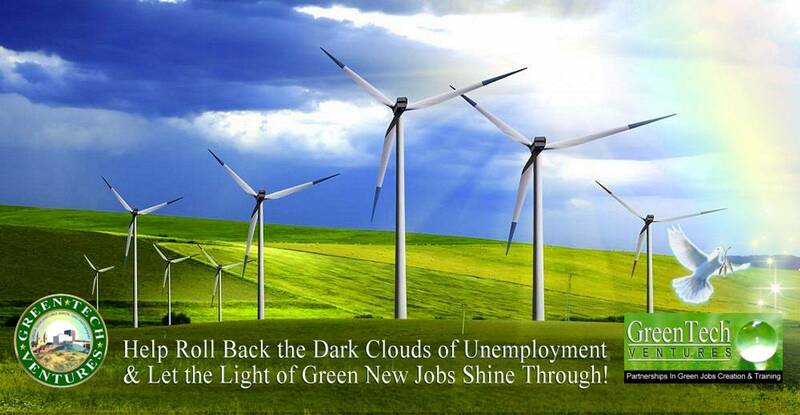 Green Jobs Call to Action! 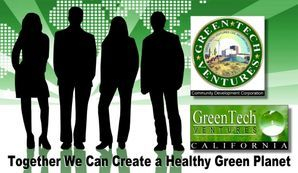 We are Green Tech Ventures & "Invite the Entire Green World" to Join Our Green Movement! If You are into Green New Jobs Creation, Green Jobs Training & a Healthy Sustainable Green Economy, Join Our Network! We all know that no quality project in history, Green Tech or otherwise ever gets off the ground without any money. Although Green Tech Ventures is not a Brokerage Firm nor are we Investment Bankers, Green Tech Ventures does have associates who are highly skilled in the financial services fields and do seek quality Bankable Green Technology Projects to develop. Our goal is to encourage and connect all deals that are qualified and Ready To Be Funded. Whether it's Renewable Energy, Clean Energy, Bio Fuel, Hybrid Energy, Smart Cars, Electric Cars, Wind, Solar or Geo-Thermal Energy, Green Tech Ventures Global Network of Strategic Partners are on the front line of cutting edge Green Technology & helping to "Re-Power America" with New Sustainable Green Tech Jobs for decades to come. 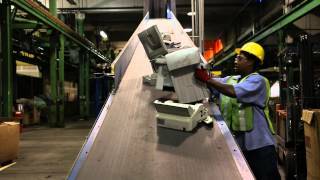 Green Technology is the absolute "Key to New Jobs Creation." We have brilliant partners who have Mastered Green Tech. 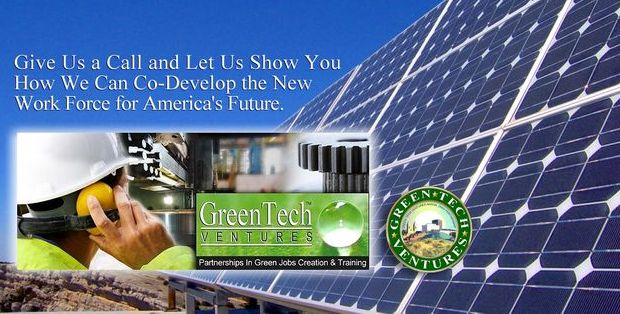 Green Tech Ventures Co-Founders & Staff have a long-standing history in Job Training and Job Creation. With a combined total of over 75 years of Job Training, Academic and Community Leadership, we are not just jumping on the Job Training band wagon because it's cool. The US is still in an Economic Crisis. Our Training Providers will help to increase all efforts to train and educate people who are out of work that simply Need New Jobs Now. America and the entire World are at a historic crossroad where we have to make serious decisions about the direction we agree to take our future. There is only one logical direction and it all falls under the umbrella of Green Technology. Help us to roll out a new "Green Tech Call to Action" by joining our "Global Network" so we can follow each others L.E.E.D. Share with Your FB Family & Friends, Tweet or Email & Spread the Word! GreenTech Ventures is a project of B.U.I.L.D. Management, LLC and also an Economic Development Incubator, Business Referral Group, Business Consulting Group, Social Network and Land Development Coalition for the Creation of New Green Jobs, Green Job Placement and Green Job Training Programs. We're also a Marketing Industry Consulting Group Founded and Co-Developed in Partnership with Don Thornton & Associates. GreenTech Ventures, Copyright © 2017 - All Rights Reserved.